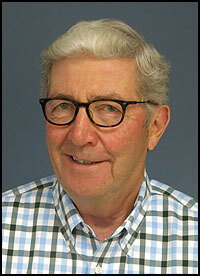 Paul is a Professor Emeritus from UW-Milwaukee having retired in 2003. Prior to his employment at UWM he has been a teacher and also worked for the Department of Public Instruction. Paul had the opportunity to fill many different roles at UWM including teacher, Department Chair, Associate Vice Chancellor for Academic Affairs and Director of the Center for Charter Schools. In retirement Paul has been active on the board of directors for Forest Home Cemetery, Milwaukee’s most historic cemetery and also serves as tour guide for Historic Milwaukee giving tours on Milwaukee history and architecture.